Spring has spring, and Easter is approaching! Easter is the most important feast day on the Christian calendar. Regularly observed from the earliest days of the Church, Easter celebrates Christ’s resurrection from the dead. 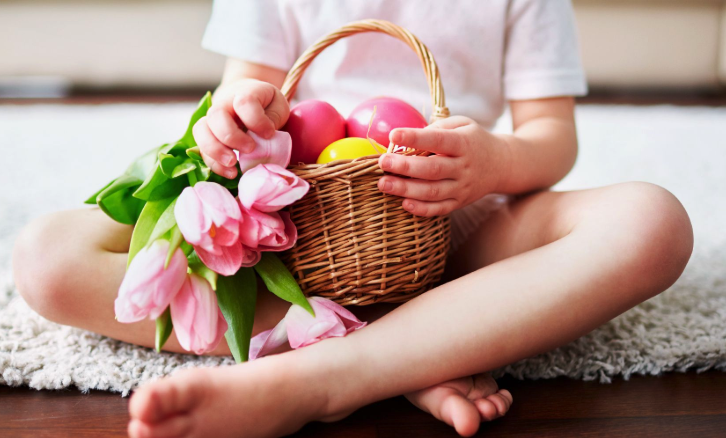 Although, many of our little ones know this day as the day they hunt for eggs and receive chocolate bunnies! If you celebrate this holiday, and are preparing to make baskets for your children, or other family members, read below! Put together a precious basket for the baby or babies in your family! 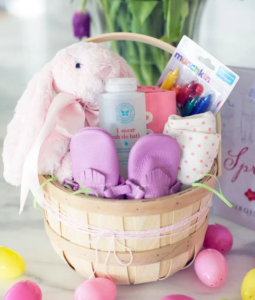 Fill the basket with essentials like bubble bath, soft plush toys and bath crayons. Do you have a little Picasso on your hands? 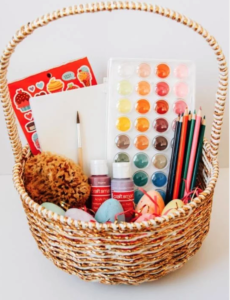 Support your young artist by filling their easter basket with the essentials. Colored pencils, a sketchbook, water colors and paint brushes are among few of the many supplies you can put inside! 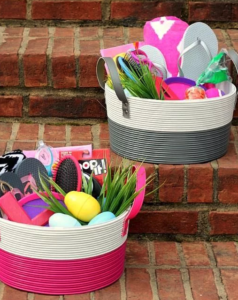 If you’re a beach family, these beach bucket Easter baskets are ideal for your sandy-toed toddlers. 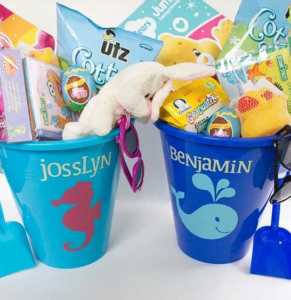 Grab yourself some beach pales, consider adding their names to the buckets, fill with candy, sun glasses and sand toys galore! Rather than filling an Easter basket for your tween with candy and stuffed animals, surprise them with items they’ll actually use! Fill their basket with summer items such as sunglasses, flip flops, hair brushes and other accessories. Who doesn’t love a little pampering!? 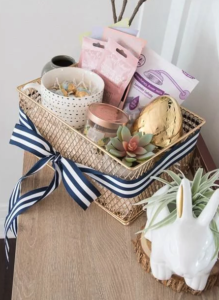 This is the perfect basket for teens or adults, fill with spa worthy items such as face masks, candles and shower gels. Have any ideas for your Easter baskets this year? Let us know in the comments below! 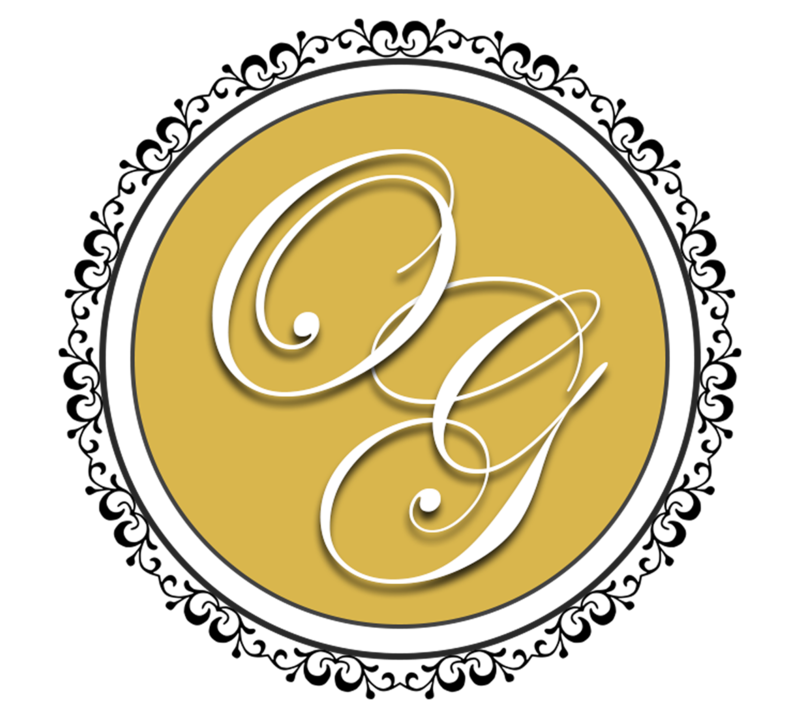 Remember, if you’re looking for a venue for your upcoming event to contact the professionals at O’Connell Gardens.